I can't say it enough that this is a book people need to pick up. It's been great since issue #1 and issues #5 and #6 have been phenomenal. Snyder knows what to do with Batman, where to place him, and who to challenge him to create an astounding story. Capullo has really been doing a great job on art duties as well. With a lot of surreal figures popping up (as shown by the cover) he's really able to do a great job for the writing. 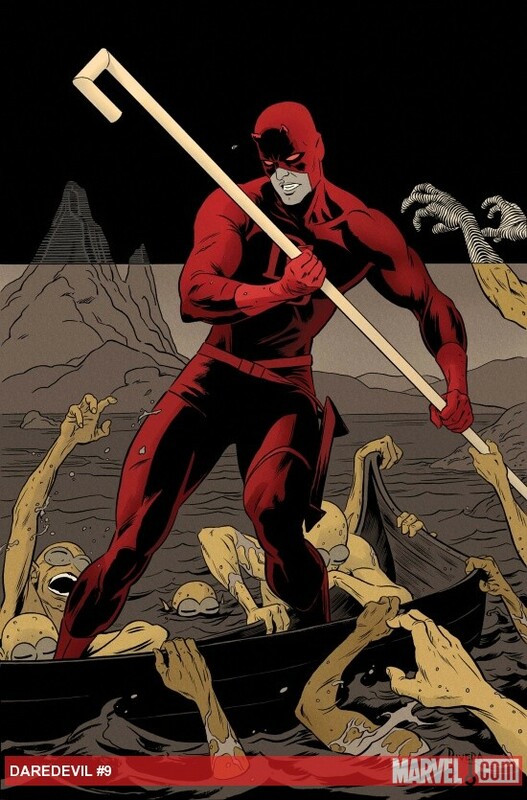 Again, another great issue of Daredevil. Just like with Batman, this is a book that's worth a read, and I'm someone who has never really gotten into Daredevil aside from here. While the last issue with Catwoman and Spider-Man wasn't bad, I forgot where we kind of left off but I'm really enjoying where it's at. And the Catwoman story continues through here which is undoubtedly going to come back into play in future issues. First off, Ordway's art was not hitting me at all. I'm not sure if I can say I've moved out of traditional comic art but this just looked generic. There was really no life or spirit to it and it felt bland, especially in comparison to Ryan Sook's incredible cover. As for the story, the pacing and dialogue were bad. I can't necessarily give it a 1 since there were some nice ideas, but I've decided to drop it until the next story. I'm liking where this was going, although it didn't really go anywhere yet. As a first issue of set up I'm gung ho on the idea, I just want the story to reinforce it. It introduced what I assume will be the main characters and set the stage, though, and interestingly as well. It read a tad fast and I think Wiebe could have gotten a little more through the issue, but going off of Green Wake, he seems to like to take his time.